Broomfield, CO – The American Gelbvieh Association is pleased to announce and welcome Taylor Buckley as the new data and member services coordinator. Buckley will assist AGA members and customers with DNA testing, as well as all aspects of the AGA Online Registry Service. She will also play a role in the AGA's member education and communications team. "I am very excited to begin my career at the AGA; my combined passion for the beef industry and background in agricultural communications falls directly in line with the association's purpose of serving its members and customers," says Buckley. "I look forward to meeting the members and assisting the association in every aspect that I can." Buckley grew up in the beef industry in Franktown, Colorado. Throughout her time in high school she was actively involved in 4-H and FFA at the local and state region. Buckley graduated from West Texas A&M University (WTAMU) in May 2018 where she received her bachelor's degree in agricultural communications as well as a minor in animal science. During her college career, she expanded her communication skills by working at the Beef Carcass Research Center at WTAMU as office manager. Buckley also completed internships at Friona Industries and Superior Livestock Auction, which helped develop her knowledge of the industry. "We are fortunate for the opportunity to add Taylor to the AGA staff. 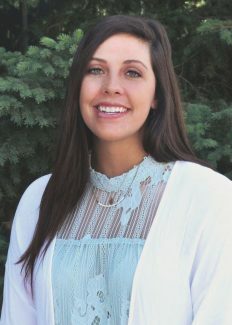 She brings a well-suited set of talents to assist our members and commercial customers and will grow to be an integral part of the AGA's commitment to serving the modern beef industry," says Megan Slater, AGA director of operations and public relations.